Black Friday deal: Save on Google Home smart speakers | What Hi-Fi? Black Friday 2018 kicks off next week and as part of the huge sales bonanza we're expecting a number of wireless speaker deals to be in the offing. We'll be bringing you all the key deals as and when they're released, but in the build-up to the big day, AO.com has just announced savings on a certain family of smart speakers, set to go live this Friday (16th November). If you've been toying with the idea of a simple multi-room audio setup, you might want to consider this Black Friday deal from AO.com on the Google Home and Google Home Mini. You can enjoy a £50 saving on the Google Home which has been reduced from £129 to £79, while there's £20 off the Google Home Mini (down from £49 to £29) in both its Anthracite and Chalk finishes. There's no shortage of competition in the smart speaker market, with the likes of Amazon, Apple and Google all fighting for a piece of the pie. Google Home is simple to use, it works with Google Chromecast and offers the option of stereo pairing so you can double-up if required. Sound quality isn't what we'd describe as class-leading, but we haven't reviewed many smart speakers that have blown us away with their audio. 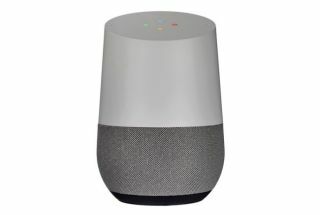 The Google Home Mini is Google's take on an Amazon Echo Dot and can be used as either a wireless speaker or smart hub. You can communicate with and directly control other Google smart products like the Google Home, or you can use the built-in Chromecast to connect to and control compatible apps and services such as Tidal, Netflix ad YouTube. At these prices, it's a ridiculously affordable way to get a multi-room system up and running.